Assemble your friends and join Boys & Girls Clubs’ Topgolf Tournament, benefiting Arlington Area Boys & Girls Clubs. 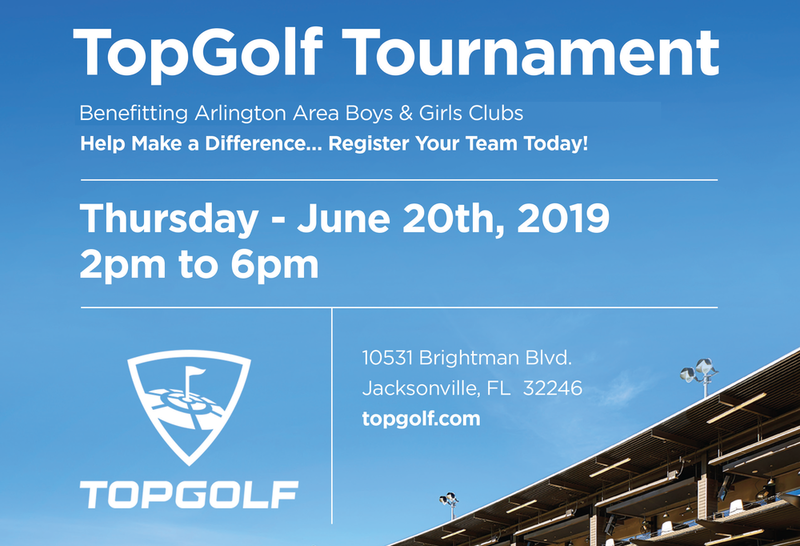 Enjoy three hours of Topgolf, TopContender game play, bottomless fountain drinks, complementary dinner buffet, fantastic silent auction prizes and awards. Help make a difference in the lives of Northeast Florida youth today! Players are split into teams, and the best score on each ball will be used as the score for the team. Help make a difference in the life of a child at six Arlington Boys & Girls Clubs by becoming a sponsor.